And he appears to be the father of Sofia Leal, married to Goncalo Amaral. Do the Mafia send youngsters to the Algarve for training? I know we've always talked about corruption in the Algarve, but the sheer scale of this, the intertwined names and the nepotism, is stunning. IMO, we are going to see some very familiar names being brought into this matter, as it is disentangled. Which I think it will be now, as the good people of Portugal seem to be sick of the very obvious corruption. Correia, faroMacario Correia hangs on as mayor of Faro despite recently being found guilty of planning irregularities when mayor of Tavira. Today the thick-skinned politician decided to return 'of his own free will' money he ​​received illegally which was discovered by the Court of Auditors. The ‘salary supplements’ were picked up in a general audit of town halls. Faro, Figueira da Foz, Palmela, Rio Maior and Valongo were found to have made unauthorised payments to staff, including mayors, between 2005 and 2009. Macario Correia wanted to make it quite clear that he was the only mayor to return money without formally having been requested. The audit spotted that former Faro mayor, José Apolinario, had received unauthorised payments. He also has pledged to return the money. Oh well, that'll be alright then. Just give the money back. No wonder Morais and Astro don't have anything much to say. It puts every single piece of pro-Amaral propaganda churned out by them, and others, under a cloud of suspicion, doesn't it? I would not be at all surprised if one D. Levy hadn't been the lucky recipient of many, many euros via the 'Algarve Film Commission', or any other flim-flam enterprises this crew have been involved in. There simply is NO way the likes of Morais didn't know. I wonder if this has anything to do with her sudden - but most welcome - silence? 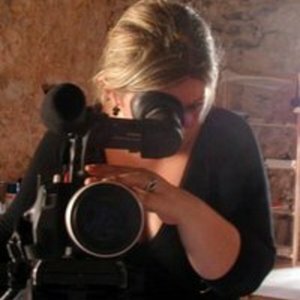 Doesn't Morais present herself has a film maker? Joana Morais may claim to be a filmmaker but there is a real dearth of evidence of such skills on that google+ page. She seems to post the work of others not her own creations. Are any of the videos at all on that page actually created by her? I can find very few films Morais has actually made, Greenink - I think she made one about her mother? Threatening to shoot his ex-girlfriend and her family with Golden Bullets? Threatening his wife's employer because he wouldn't give her time off work at her pleasure, at the expense of the Portuguese taxpayer? To me a film maker is a person who actually directs films and controls at least one camera. However this person seems simply to post the work of others. Even what I can find on the google+ page about her mother seems to be stolen from a news site. Hope you're not suggesting that that pic of a somewhat more slimline Ms Morais peering into a camera is less than authentic, Greenink? So one film made 12 years ago from a few snippets of film taken in her mother's home village and she calls herself a film maker. Posted on the same day a year ago as she posted the badly researched and badly written diatribe from another blogger like her with delusions of grandeur, Chelsea Hoffman. It's amazing the number of wannabes who have attached themselves to this matter - not one of them ever achieving success anywhere in their lives. Hoffman's one of the worst, IMO - the tattoos say it all. I could not call her a moviemaker. Or Spudders. Wannabes, absolutely. The proposals of the Algarve Film whatever, are, in my opinion, a waste of time, as they do not seem to know what they are talking about. I kept thinking, "are they serious"
I do have a background in film and TV for major companies. It was something bizarre, Bonny, and you correctly point out that they have not even got so far as making a pathetically bad movie. They appear to be a bunch of fantasists pretending to be respected professionals? A remake of The 24 hours of LeMans.......in Portugal? Saying they wanted Brad Pitt and others? You can want til the cows come home, but it means nothing. They wanted help with funding to build a studio with eleven sound stages blah blah blah. They don't know the half of it. Luckily, there are a lot of smart people who do not particularly like to give money away for something fishy. There seems to be rather a lot of money unaccounted for, Lily - they probably conned it out of the EU? I wouldn't be surprised at anything the Gonc Squad get up to Bonny. The EU should be more careful if that is the case. They were trying to get money out of some movie studio or another. They would not get anything without guarantees from them. I see the Algarve charm offensive is continuing. ETA, it happened in Albufiera, for anyone screwing up their eyes. She's not blogging, that's for sure. Maybe she is waiting for the other shoe to drop now that the investigation is progressing well? We never did hear the truth about the GNR officer who suddenly 'inherited' a large sum of money about the time Madeleine was abducted, did we? The 'inheritance' Morais wouldn't let anyone talk about? What happened, did the bar owner forget to bribe some Town Hall official?